The Smithereens are a one-of-a-kind band–not only have they been together in their almost-original lineup since March 1980 (original bassist Mike Messaros left the band five years ago and the high energy Left Coaster Severo “The Thrilla From Manila” Journacion stepped in) but they have remained true to their original Rickenbacker-infused sound. They sound something like if you put the Byrds, The Beatles, Lee Hazlewood and a few classic 60s garage bands in a blender and hit the “pulverize” button. Each of the four musicians–singer/songwriter/rhythm guitarist Pat DiNizio, axeman Jim Babjak, drummer Dennis Diken and the aforementioned bassman Severo Journacion–all excel at what they do and still make pertinent new music. 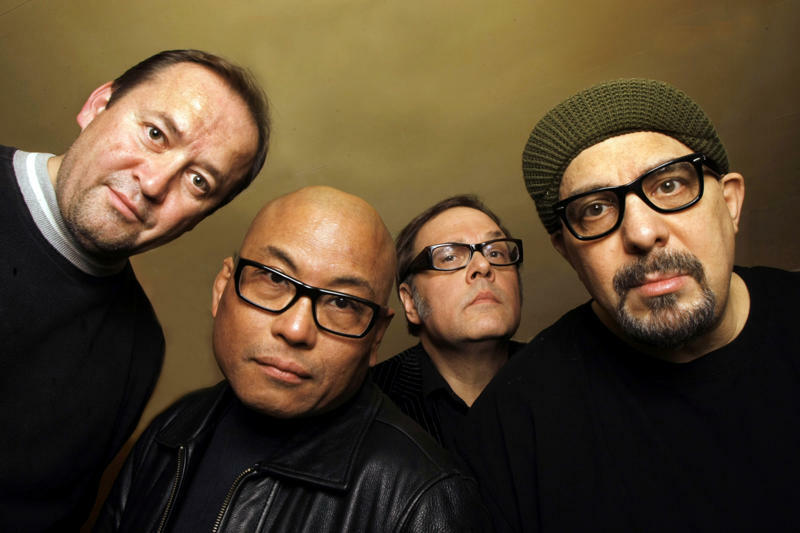 Their long-awaited 2011 album–whose title’s a play on the name of the Smithereens’ 1989 hit album 11–hit the iTunes chart at #17 only a week or two “out of the box” back in early April, something that most bands who have been around for 30-plus years have only dreamed of doing. The first single from the album, “Sorry,” has also been garnering a lot of radio airplay. After the Smithereens’ set, they will be doing one of their customary meet and greet/merchandise signing for their fans, and you will undoubtedly notice seem to have an up-close and personal relationship with each fan. Lots of hugs and handshakes are exchanged. It’s a remarkable thing we noticed the first time we met the band at Rock Con in East Rutherford, NJ, last summer and there was a bee line for their table at the event–not to mention a wild crowd reaction to their performance. So be sure to bring your copy of 2011 to the Maplewoodstock show to be signed or buy one there! The group’s back catalog will also be there to purchase and get signed–and we are secretly hoping that DiNizio will have copies of his recent autobiography Confessions Of A Rock Star on hand as well. DiNizio told us his philosophy towards being close with his fans and the band always giving their “all” in an interview we conducted by phone last year right before the band’s 30th anniversary concert in Carteret, NJ (where the group received keys to the city). He revealed, “You need to like people and be fairly loquacious and hang out with people and sort of embrace that…and unfortunately, most rock musicians I know have ran away from the very people who have been kind enough to buy records they have made and bought concert tickets. These same folks who owe people their livelihood tend to run away from them. I guess it is just the so-called artistic temperament. But even going back to the days I owned by own garbage business, I was always very friendly with my customers and I knew I had to give them more than they were paying for—that is just common sense in terms of business, and that is what the Smithereens do. We give people more value for their money than what they actually pay for because of what they have done for us. They deserve it.” ‘Nuff said?